Northland Basement Systems is dedicated to educating the public on basement waterproofing and crawl space repair in Michigan & Wisconsin. Our goal is to create a healthy environment for the home and your family. We are here to answer your questions and guide you through the basement waterproofing process. We can show you how you can expand your living space and have peace of mind that your investment will be protected. Please Feel FREE to Contact for Basement Waterproofing and Crawl Space Problems. "Our salesman did not try to up-sell us products or..."
Waterproofing, vapor barriers, walls, flooring, insulation, windows, dehumidifiers, structural repairs... When it comes to basements and crawl spaces, we can do just about anything! With so many options for your home, our experts find that homeowners are best served by a personal, on-site consultation from one of our experts on staff. That's why we offer homeowners a customized system quote -- at no cost or obligation. Your free quote includes an on-site inspection and measurement of your space. Your expert will locate the sources of any problems, answering any questions you might have as we go. 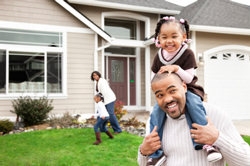 We'll explain the different options we provide for homeowners and make recommendations. Once everything has been explained, our expert will work with you to customize a cost quote, using our innovative software program to map out your basement and your installation. A complete cost quote will be provided in writing for you based on the system you and your representative create together during our presentation. As an added courtesy, we like to mail along a copy of one of our full color basement and crawl space books, which details everything you need to know about your below-grade space, as well as information about our products and services. We offer our services to homeowners throughout Upper Peninsula, including Marquette, Iron Mountain, Ashland, the surrounding areas of Escanaba, Iron Mountain, Ironwood, Eagle River, Hancock, Iron River, Phillips, and nearby. Contact us by phone or e-mail today to schedule an appointment!